In breaking news, French luxury house Louis Vuitton has just named Virgil Abloh as its new artistic director of menswear, replacing Kim Jones who announced his departure just last week. Abloh’s new gig at LV will make him one of the few black designers at the top of a French heritage house, followed by Olivier Rousteing at Balmain and Ozwald Boateng, who was the designer for Givenchy menswear from 2003 to 2007. 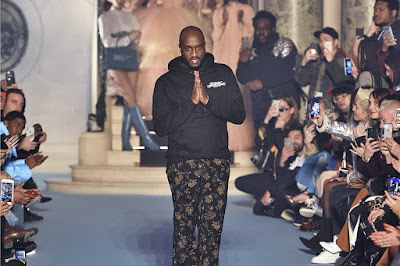 According to The New York Times, Abloh will relocate his family to Paris to fulfill his new role. Before today’s official announcement, it was rumored Abloh would take over Jones’ spot. On the same day as his announcement to leave Louis Vuitton, Kim Jones posted a pair of Off-White™ x Air Jordan 1 sneakers, signed by Abloh himself, with the caption “Thanks Virgil, BIG LOVE.” Abloh will show his first collection for Louis Vuitton during Paris Men’s Fashion Week in June.